Strengthening affirmative action programs and fighting discrimination present challenges to America's best private and public universities. US college enrollments swelled from 2.6 million students in 1955 to 17.5 million by 2005. 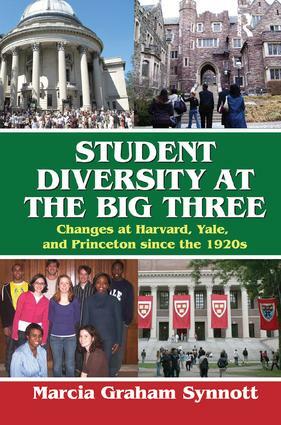 Ivy League universities, specifically Harvard, Yale, and Princeton, face significant challenges in maintaining their professed goal to educate a reasonable number of students from all ethnic, racial, religious, and socio-economic groups while maintaining the loyalty of their alumni. College admissions officers in these elite universities have the daunting task of selecting a balanced student body. Added to their challenges, the economic recession of 2008-2009 negatively impacted potential applicants from lower-income families. Evidence suggests that high Standard Aptitude Test (SAT) scores are correlated with a family's socioeconomic status. Thus, the problem of selecting the "best" students from an ever-increasing pool of applicants may render standardized admissions tests a less desirable selection mechanism. The next admissions battle may be whether well-endowed universities should commit themselves to a form of class-based affirmative action in order to balance the socioeconomic advantages of well-to-do families. Such a policy would improve prospects for students who may have ambitions for an education that is beyond their reach without preferential treatment. As in past decades, admissions policies may remain a question of balances and preferences. Nevertheless, the elite universities are handling admission decisions with determination and far less prejudice than in earlier eras.